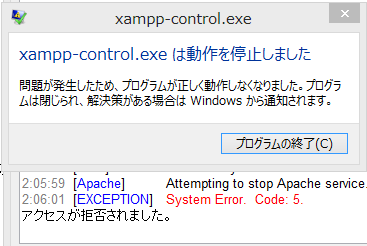 7:22:13 [Apache] Port 80 in use by “system”! 7:22:13 [Apache] Apache WILL NOT start without the configured ports free! If it is System procress(PID 4), you need to disable HTTP.sys driver which is started on demand by other service, such as Windows Remote Management/Print Spooler on Windows 2008 or Windows 7.